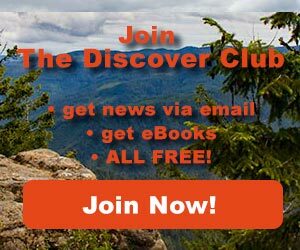 Outdoor News July 20, 2018 - Explore! 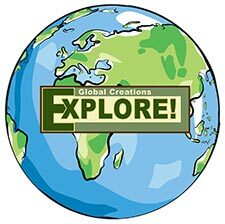 Outdoor News July 20, 2018 - Explore! On Tuesday, Gov. John Bel Edwards of Louisiana announced $60 million in new coastal projects to be built and paid for with funds from the settlement of the Deepwater Horizon Oil Spill. On Tuesday, Governor John R. Kasich of Ohio was joined by the daughters of Olympic hero Jesse Owens at the grand opening of Jesse Owens State Park and Wildlife Area. This new 5,735-acre addition to Ohio’s public lands, planned to eventually span more than 13,000 acres, will provide Ohioans, as well as visitors, countless opportunities to enjoy outdoor recreational activities, including hunting, fishing, hiking and camping. 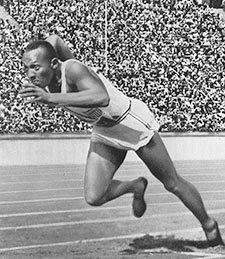 Jesse Owens (1913-1980), raised in Cleveland, was a world record-setting sprinter at The Ohio State University who became an international sports legend after winning four gold medals at the 1936 Olympic Games in Berlin. Joining Gov. Kasich for today’s grand opening were two of Jesse Owens’ daughters, Beverly Owens Prather and Marlene Owens Rankin. Jesse Owens State Park and Wildlife Area was created through an agreement between the Ohio Department of Natural Resources (ODNR) and American Electric Power (AEP). Located in eastern Ohio, the property obtained by the state is 5,720 acres that were previously part of the AEP ReCreation Land. ODNR has agreed to purchase additional acres over the next two years which will increase the size of the park and wildlife area to more than 13,000 acres. 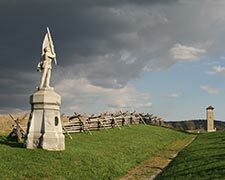 Whether you visit Antietam National Battlefield in Maryland to walk in the footsteps of a Civil War soldier or go for your morning run, the National Park Service (NPS) is transforming the way you experience and understand this historic landscape. A newly approved plan will increase visitor access to key battlefield locations by repositioning and reconfiguring three of the 11 tour stops, expanding and connecting the trail system, and fully integrating the 946 acres acquired since the completion of the 1992 general management plan. Perimeter Trail: Comprised of existing trails and new trail segments, an 11-mile perimeter trail will allow visitors to hike the entire circumference of the battlefield, starting and ending at the visitor center. Battle Action Loop Trails: Shorter immersive experiences will focus on specific locations where significant events of the battle unfolded, like the Sunken Road and Miller Cornfield. Universally Accessible Trails: The 0.25-mile Antietam Remembered walking trail loop as well as the paved walkway leading to the entrance of Dunker Church will be modified to allow for universal access. Where possible, the Battle Action looping trails will be designed to be universally accessible. East Woods (tour stop 3): A new tour stop will be added to supply a visual connection to the Mansfield Monument, creating a more immersive Battlefield experience and providing a space for interpretive opportunities at the East Woods. The Cornfield (tour stop 4): This stop offers a 360-degree view of the Miller Pasture and will be expanded to include an interpretive plaza and additional parking. The Mumma Farm (tour stop 6): This stop will move from its current location at the Mumma cemetery closer to the Mumma farmstead buildings to improve access to this site. The Trust for Public Land, Green Diamond Resource Company and Washington State Department of Natural Resources (DNR) recently announced they have permanently protected 7,391 acres of working forest land in Mason County at the southwestern end of Puget Sound. The land, located on the Olympic Peninsula between Hood Canal and Case Inlet, will remain in active timber production while protecting water quality and wildlife habitat. It will also be available to the public for hiking, mountain biking and other outdoor recreation. The 7,391 acres is the second phase of a three-phase effort to protect over 20,000 acres of this coastal forest from development in the Puget Sound region. In 2016, 6,967 acres – the project's first phase – were protected, and earlier this year, Congress appropriated $5.1 million in the 2018 budget to protect the project's third and final phase. With two metropolitan areas only a half hour away and with high demand for affordable home sites, the land was highly vulnerable to subdivision and development. "Protecting these productive forestlands from future development safeguards local jobs, keeps vital habitat intact for wildlife and protects the quality of Puget Sound while providing public access for outdoor recreation," said David Patton, Northwest Area Director for The Trust for Public Land. "This project advances multiple benefits for everyone involved." 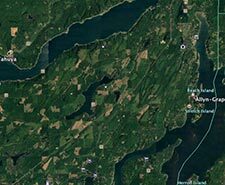 The land is owned by Green Diamond Resource Company, a Washington-based privately held forest products company. Green Diamond will continue to manage it under a conservation easement that guarantees the land will never be developed and will always be open for public recreation. Green Diamond's lands in Washington state are managed under a Habitat Conservation Plan to protect 51 aquatic and terrestrial species while allowing for forest management. "Working forests are a major part of Mason County's economy, and this transaction will help to ensure a healthy forest products industry here for many years to come," said Blayde Fry, Vice President and General Manager at Green Diamond Resource Company. The conservation easement was appraised and purchased for $6.634 million. Funding for the purchase came entirely from the USDA Forest Service Forest Legacy Program, which is specifically designed to protect environmentally sensitive forestlands that are threatened by conversion to non-forest uses. The easement will be held by DNR, which will be responsible for long-term monitoring and enforcement of its restrictions. The FLP funding comes from the Land and Water Conservation Fund (LWCF), the federal government's main source of funds to protect land. LWCF, which was created by Congress in 1964, is funded not through taxes, but through royalties paid by energy companies for offshore gas and oil drilling. "The working forestland protected by this easement supports the vital recreation, environmental and economic values that make south Puget Sound an attractive place to live, work and play," said Commissioner of Public Lands Hilary Franz, who leads DNR. "Collaborating with like-minded partners in forest conservation ensures that this forest will continue to provide benefits to the public and the environment." A new Winning the West 2018 poll released Wednesday by the Center for Western Priorities. It shows the growing influence of the “Outdoor Voting Bloc” in Mountain West swing states. The poll was conducted for the second consecutive election cycle in Colorado, Montana and Nevada, and for the first time in Arizona and New Mexico. It is intended to reveal how issues involving public lands, parks and wildlife play a role in moving Western voters to the polls and influence the candidates they choose. The poll found recent Trump administration proposals on public lands are unpopular in every state surveyed. 74 percent of voters — including a majority of Republicans, Democrats, and independents — oppose reducing the size of Bears Ears and Grand Staircase-Escalante National Monuments. 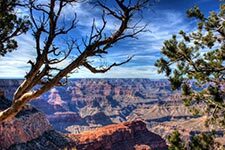 70 percent oppose opening public lands close to national parks and monuments for oil and gas drilling. 67 percent oppose increasing public land available for oil and gas development by reducing conservation efforts on behalf of potentially endangered wildlife, like the sage-grouse. 64 percent oppose rolling back environmental regulations on oil and gas development. 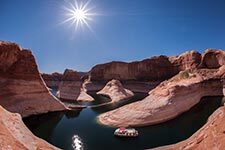 The net effect of its recent policies leaves the Trump administration with a 27 percent approval rating on handling public lands issues with Mountain West swing state voters, according to the poll. Backlash to recent administration actions have taken a toll on the public esteem of U.S. Interior Secretary Ryan Zinke, whose approval rating is upside down in all five of the Western states polled, including in his home state of Montana. 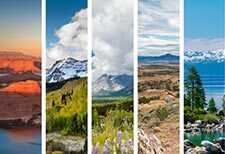 The poll found Mountain West voters place a heightened importance on supporting the outdoor recreation economy. 81 percent of voters think outdoor recreation will be important to the future of their state’s economy. 80 percent believe the presence of public lands and the local outdoor recreation lifestyle are important to attracting good jobs and innovative companies to the state. When it comes to energy development, 84 percent of voters — including a majority of Republicans, Democrats, and independents — favor investments in the development of renewable energy sources like wind, solar, and geothermal. 55 percent oppose increasing oil and gas development on public lands. Where energy development does occur on public lands, voters want to see common sense safety protections. On public lands, strong majorities support requiring mining companies to pay taxpayers a royalty for extracting minerals (76 percent), increasing the royalties that companies pay to taxpayers for extracting oil, gas, and coal (70 percent), and requiring oil and gas companies to detect and repair natural gas leaks in drilling equipment (89 percent). Seven groups of persuadable voters — millennial parents, empty nesters, dedicated anglers and hunters, casual outdoor recreation enthusiasts, cable news watchers, social media users, and ticket splitters — emerge as particularly important to candidates looking to win elections in Mountain West states and districts. Majorities exceeding 80 percent across all seven groups view public lands issues as important in deciding which candidate to vote for. Between 60 and 75 percent said they tend to vote for candidates who align the closest to their point of view on public lands. A strong majority of voters in the seven groups, ranging between 69 and 76 percent, reported they are motivated to vote when public lands are threatened. According to the poll, candidates who listen to the outdoor voting bloc will hear strong opposition for opening up more public lands for energy development, rolling back regulations on oil and gas drilling and mining, and reducing the size of national monuments. The outdoor voter groups identified in the poll expect their candidates to take a balanced approach to managing conservation, recreation, and responsible energy development. Majorities of voters in each group said they would likely vote for a candidate who says conservation is key to the West’s economy, whether that candidate is a Democrat or Republican. Conversely, strong majorities in each group were unlikely to vote for a Democrat or Republican who prioritizes energy development over conservation. The Winning the West poll was conducted by Gottlieb Strategic Research. It included 2,500 online interviews of likely 2018 voters in Arizona, Colorado, Montana, Nevada, and New Mexico in June. The margin of error is +/- 2 percent for all voters and +/- 4.4 percent per state. The complete Winning the West poll results for each of the five states surveyed are available at WinningTheWest2018.org. To speak with the pollster Brian Gottlieb or Jennifer Rokala from the Center for Western Priorities, contact Aaron Weiss at 720-279-0019 or aaron@westernpriorities.org. Download the full presentation and topline poll results. Yesterday, a coalition of California and Oregon conservation and agricultural groups sent a letter to U.S. Interior Department Secretary Ryan Zinke outlining concerns with recent litigation that seeks a preliminary injunction to stop all Klamath Irrigation Project diversions immediately and hold that water in Upper Klamath Lake (UKL). “If successful, this litigation would severely impact Lower Klamath National Wildlife Refuge and Tule Lake National Wildlife Refuge, as well as family farms – all of which provide food and habitat for migratory waterfowl and hundreds of other species,” the authors of the letter state. On May 23, 2018 the Klamath Tribes filed a lawsuit under the Endangered Species Act to protect listed suckers by requiring more water to be reserved in UKL. The hearing to review this new potential injunction is scheduled for today in San Francisco. “The proposed preliminary injunction, if granted, would compel a complete mid-season Klamath Project shutoff and would very quickly lead to serious local crises – both in terms of the devastating impact curtailing Project water deliveries would have upon managed wetland habitats on important National Wildlife Refuges, as well as the financial impact it would have upon the local farming community,” the letter states. Should the proposed preliminary injunction be granted, impacts to recreation on Lower Klamath NWR will also be significant. Over 130,000 visits are logged in a typical year at the Lower Klamath NWR for birdwatching, photography, and waterfowl hunting, with these visitors spending an estimated $4.2 million annually (2015 dollars) in the local community. 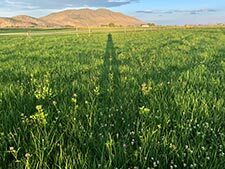 Similar to California’s Sacramento Valley where rice production provides vitally important surrogate habitat and food for waterfowl, cereal grains and other wildlife-friendly agriculture in the Basin are critical to meeting the needs of Pacific Flyway waterfowl. 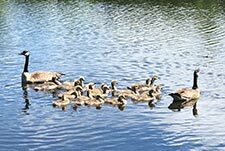 “The serious stress placed on birds by the lack of all these habitats could mark the beginning of the end for our Pacific Flyway waterfowl resource,” the letter states. The letter concludes with an explanation to Secretary Zinke that the Klamath Basin is at another historic crossroads in its future and that the intent of the signatories is to improve communication and encourage dialogue between the diverse interests in the Klamath Basin. 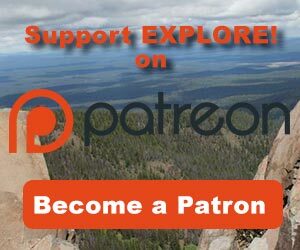 My Trail Summer Sale! The best in lightweight gear. Save up to 55%! Save Up to 40% during Cabela's Shooting Sports Classic Sale. Now through July 29! Use code FREESHIP on orders of $50 or more to get free shipping! Buy One Turkey Dinner Casserole, Get One 50% OFF at MountainHouse.com! Click here for details. Deal ends 7/31! 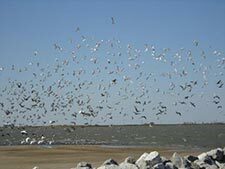 Our video of the week offers a birds-eye view of the Louisiana coast and Grand Isle, particularly. The area has great fishing, swimming, boating, birdwatching and more. Enjoy the relaxing flight!